Back in 1916 a teenager was working at Sportsman’s Park in St. Louis as a soda vendor to bring in extra money to help support his family. The concessions manager at the ballpark found the teenager to be a good worker and recommended him to the business manager of the St. Louis Browns. The teenager had a meeting with the business manager and he made a good impression on the executive. is good impression served as a steppingstone for the young man to move from the ranks of the concession workers at the ballpark and into a new job as an errand boy and switchboard operator in the front office of the Browns. is change in station for the ambitious young man led to lifelong employment in the business of baseball, a change that eventually led to the ownership of two major-league baseball teams. The young soda vendor promoted to office boy in this real-life Horatio Alger story was William Orville DeWitt, Sr. and the business manager of the Browns was Branch Rickey. In 1926 Sam Breadon, owner of the Cardinals, promoted Rickey’s “boy” to the post of treasurer. The Cardinals were coming into one of the most successful periods in the history of the team. Rickey’s farm system was beginning to pay big dividends and DeWitt had grown up with the system from the earliest days of its inception. e team won its rst pennant in 1926 and defeated Babe Ruth and the New York Yankees in the World Series. The Cardinals won the pennant again in 1928, 1930, 1931, and 1934, with World Series wins in 1931 and 1934 — a very successful run with DeWitt in charge of the team’s wallet. In 1934 the Cardinals won the World Series in seven games over the Detroit Tigers with the colorful hurler Dizzy Dean emerging as a national celebrity on the famed Gas House Gang. His celebrity status turned into many lucrative product endorsements for Dean, a young man from humble beginnings in rural Arkansas. In 1946, with World War II over and front-line players returned from the service, the Browns fell to seventh place. Sewell resigned shortly before the season ended. He was succeeded by Muddy Ruel, a former catcher and pitching coach who was a special assistant to Commissioner A.B. “Happy” Chandler.14 DeWitt had dealt away most of the stars from the 1944 pennant winners so Ruel was working with a new crop of players in 1947. Initially things appeared promising for Ruel and the Browns in 1947. By the end of the first half of the season, the Browns were mired in the American League cellar. In 1948, under new manager Zack Taylor, the results were much the same as they were in 1947, 59 wins and 94 losses, though, thanks to the ineptitude of the White Sox and Senators, the Browns were able to move up to sixth place. The harsh economic reality of the expenses involved with being the majority owner of a losing team was setting in for Richard Muckerman, the ice and coal baron. The resilient DeWitt was out of a job only a short time. In April 1954 the New York Yankees hired him to serve as assistant general manager under George Weiss. DeWitt was to assist Weiss in player contract negotiations and serve as a general troubleshooter. Some baseball observers speculated that DeWitt was being groomed as a successor to Weiss. The assumption was that Weiss would retire shortly and DeWitt would succeed him. But in 1956 Weiss signed a new contract, and DeWitt found another opportunity.26 He was named the coordinator of the commissioner’s Professional Baseball Fund Committee, which helped minor-league teams in economic peril. Then in September 1959 he became the president of the Detroit Tigers, who were in a tumultuous transitional period after the Briggs family sold the team. DeWitt became the fourth president of the team in three years. In Detroit DeWitt left an indelible mark on baseball history by pulling off one of the game’s most unusual trades. In August 1960, he helped engineer a trade of managers with Cleveland Indians. The Tigers’ Jimmy Dykes was sent to Cleveland in exchange for Joe Gordon. Other important trades DeWitt made that had a lasting impact for the Tigers were sending Harvey Kuenn to Cleveland for slugger Rocky Colavito and acquiring Norm Cash from Cleveland in exchange for Steve Demeter.27 One of DeWitt’s unheralded but signi cant moves in Detroit was having the pay toilets removed from the women’s restrooms at the ballpark. A few years later, in 1975, DeWitt was reunited with Bill Veeck. He was an investor and chairman of the Chicago White Sox from 1975 to 1981. DeWitt’s involvement with Veeck’s ownership group was instrumental in keeping the White Sox in Chicago at a time when the American League had approved moving the team to Seattle. Bill DeWitt was an important presence in major-league baseball for his entire adult life. He spent time in both leagues with six teams in a variety of positions. He was an owner and general manager and an executive for Organized Baseball. Teams DeWitt was involved with won nine pennants over the course of his career. 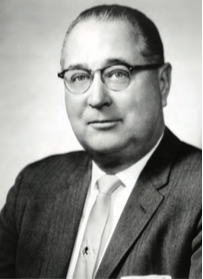 A testament to DeWitt’s enduring legacy in the game is the fact that William O. DeWitt, Jr. and William O. DeWitt, III became the owners of the St. Louis Cardinals. 1. U.S. Census; Missouri Birth Records; Gould’s City Directory for St. Louis; The Sporting News. 2. Arthur Mann, Branch Rickey: American in Action (New York: Riverside Press, 1957); Oral history interview with William O. DeWitt, Sr. for the A.B. Chandler Oral History Project of the University of Kentucky Library; The Sporting News, March 19, 1936. 3. The Sporting News, March 19, 1936. 5. The Sporting News, December 22, 1948, and February 9, 1949. 6. The Sporting News, December 28, 1944. 7. Baseball-almanac.com/players/player.php?p=deandi01; Arthur Mann, Branch Rickey: American in Action (New York: Houghton Mi in, 1957); Vince Staten, Ol’ Diz: A Biography of Dizzy Dean (New York: Harper Collins, 1992); St. Louis Globe-Democrat, November 23, 1934; The Sporting News, November 29, 1936. 8. Fred Lieb, e Baltimore Orioles (Carbondale, Illinois: Southern Illinois University Press, 2005); Arthur Mann, Branch Rickey; The Sporting News, November 19, 1936, and May 4, 1944. 9. St. Louis Star-Times, November 13, 1936; The Sporting News, January 7, 1937. 11. The Sporting News, December 28, 1944. 13. St. Louis Globe-Democrat, August 10, 1945; St. Louis Star-Times, August 10, 1945; The Sporting News, August 16, 1945. 14. Baseball Magazine, December 1946; New York Times, September 22, 1946, The Sporting News, September 25, 1946. 15. St. Louis Globe-Democrat, July 18, 1947. 16. Ibid. ; St. Louis Post-Dispatch, July 18, 1947; St. Louis Star-Times, July 19, 1947. 17. St. Louis Post-Dispatch, November 4, 1947; The Sporting News, November 12, 1947. 18. Chicago Daily Tribune, February 3, 1949; New York Times, February 3, 1949; St. Louis Star-Times, February 3, 1949. 19. The Sporting News, March 20, 1982. 20. Chicago Daily Tribune, December 20 ,1949; New York Times, April 19, 1949; St. Louis Star-Times, December 7, 1948; The Sporting News, March 16, 1949. 21. Associated Press, February 5, 1949; The Sporting News, December 17, 1947, and December 22, 1948. 22. Los Angeles Times, March 1, 1950; The Sporting News, March 15, 1950. 23. Chicago Daily Tribune, June 22, 1951; New York Times, July 4, 1951. 24. Fred Nichols, e Final Season (St. Louis: e St. Louis Browns Historical Society, 1991); The Sporting News, March 4, 1953, April 15, 1953. 25. The Sporting News, November 4, 1953. 26. New York Times, April 28, 1954; The Sporting News, March 20, 1982. 27. The Sporting News, April 20, 1960, April 27, 1960. 28. Boston Globe, October 21, 1960; Chicago Daily Tribune, October 21, 1960; Detroit News, October 12, 1960. 29. Boston Globe, March 24, 1962; Chicago Daily Tribune, March 21, 1962, June 4, 1962, Hartford Courant, March 24, 1962. 30. Frank Robinson, Extra Innings: e Grand Slam Response to Al Campanis’s Controversial Remarks about Blacks in Baseball (New York: McGraw-Hill, 1988); New York Times, November 13, 1965; The Sporting News, November 28, 1964. 31. Boston Globe, October 14, 1964; Chicago Tribune, December 6, 1966, and March 7, 1982; Hartford Courant, December 6, 1966. 32. The Sporting News, November 22, 1975. 33. Chicago Daily Defender, August 18, 1971; Los Angeles Times, August 18,1971; Seattle Times, August 17, 1971. 34. St. Louis Globe-Democrat, March 4, 1982. 35. St. Louis Post-Dispatch, March 3, 1982. 36. Bryan (Texas) Times, March 4, 1982, The Sporting News, May 16, 1970. 37. The Sporting News, December 28, 1944. 38. Chicago Tribune, March 7, 1982.